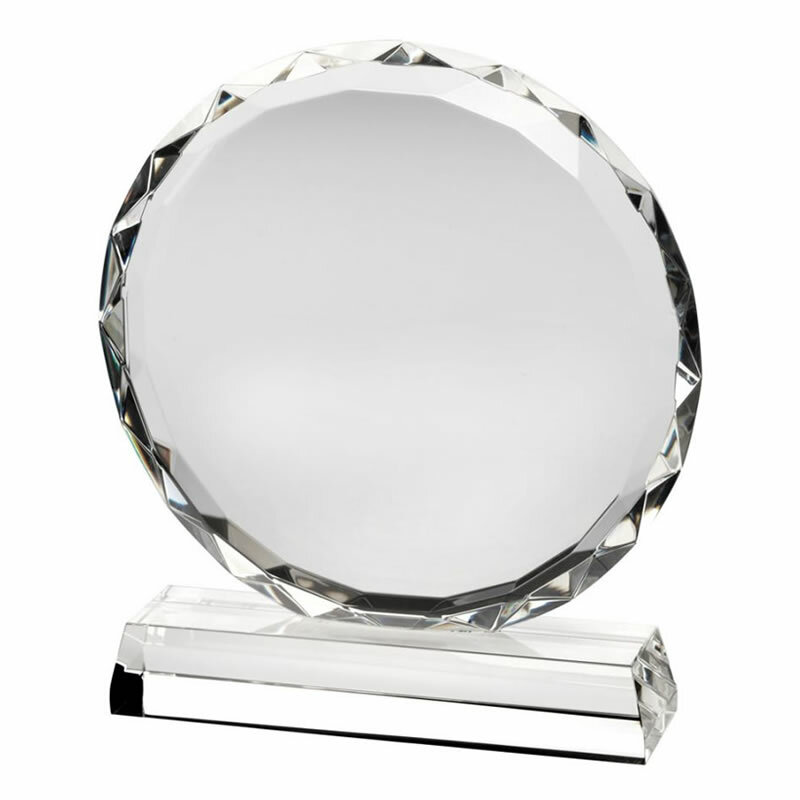 These premium quality glass plaque awards are made in 25mm thick clear glass. They have a classic circular shape with thick bevelled edges with multi-faceted decoration. Available in three sizes, each award stands on a bevelled base. They can be customised via laser engraving, or colour print options are available (please contact us first for colour print options). These clear glass circle plaques are supplied with a quality presentation case.